I met the owner of this company around 2010 and we worked together on and off until 2015. The owner, Kay Newsom, had a vision for creating a new brand for her interior design business, Bella Southern Interiors, Inc., that was at the time based in Clearwater, FL. We worked out all of the details and formulated a plan to develop several websites; a company site, a personal profile and a blog that would be the driving force that integrated with her social media plan to build her online presence and further develop her decorating business. It is one of my strengths to connect with a person and garner key information and intuitively grasp what they envision in their minds eye. I then process that knowledge into visually pleasing graphics that feel personalized and like home to them. It is always my goal to exceed their expectations and I’m confident Kay would agree that I did so on each of these projects. 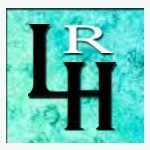 She wrote me a wonderful Testimonial for future clients to review. 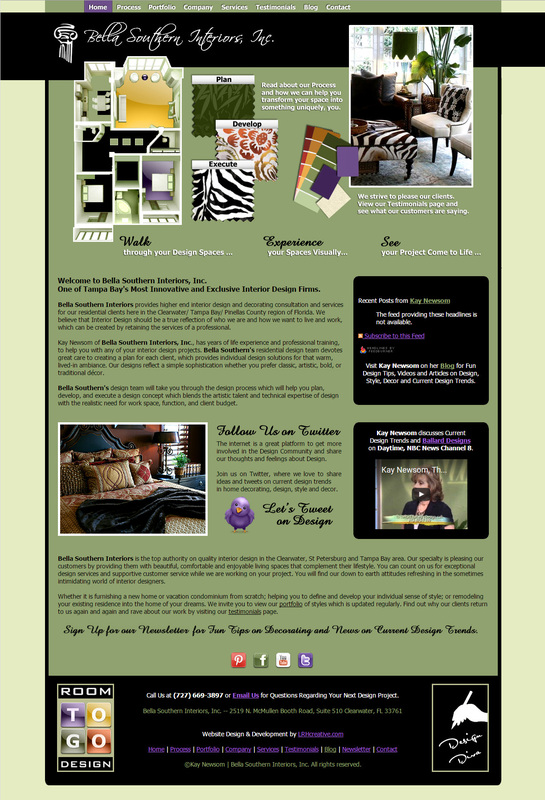 Check out the other web projects we worked on here, The Design Diva and The Design Diva Blog. They’re all cross branded and very original. You can also see some of her social media profiles online that I designed custom branding for, BellaSouthernK or The Design Diva on Twitter, Bella Southern Interiors on Houzz – and I also built The Design Diva Pinterest profile, boards and many custom designed post pins and palette boards.